Are President Kiir’s Political Rivals Ready to Take on Him Now? The Battle for the SPLM’s Chairmanship Heats Up!! In the layperson’s language, this is nothing short of reading the riot act to Salva Kiir Mayaardit–the chairperson of the SPLM party and the President of the republic of South Sudan. Many questions are crying out for answers. Are the disgruntled members of the SPLM-Politburo, many of whom were recently fired from the cabinet, going to gang up behind Dr. Machar and “relieve” the Chairperson of his duties “in the interest of the party and for the sake of the nation”? How will the President, who have of late gone on decreeing spree unperturbed, react to such naked political challenge to his perceived “constitutional authority”? Will President Kiir back down peacefully (as Dr. Machar did after his dismissal from the government) and take respite from his addictive decreeing habit? Will he ratchet up the political pressure and take on his political opponents? What leverage do Kiir’s political competitors have over him? What else can the President do other than his recent actions–their dismissal from the cabinet and the dissolution of the SPLM-PB? However, what most South Sudanese people are wondering over is the final lineup of the factions that would compete, first for the position of the SPLM chairmanship, and secondly, for the office of the President of the country. Some crude form of the factionalization within the SPLM appears to be crystallizing, albeit ambiguously. First is what seem to be a public knowledge already–Kiir’s detractors in the person of Dr. Machar, Pagan and Nyandeng. While they have been relentless in their opposition to President Kiir for sometime now, the question is whether or not they would eventually succeed to put aside their internal differences (there are many internal contradictions, one of which is whether Pagan and Nyandeng would accept to serve under Dr. Machar given his past) and coalesce into a formidable political force. That would be a matter of political survival for the duo though, for they could still re-unite with President Kiir just as we saw this week when the President made an unexpected political coup against Pagan & Nyandeng’s camp by (snatching and) appointing Nhial Deng as Pagan’s replacement–Juba’s chief negotiator with Khartoum over the outstanding issues. Dr. Machar’s political rapprochement with President Kiir, though not entirely improbable, is highly complicated by the fact that VP Wani Igga won’t be ready to give him a free ride this time round. If Machar-Pagan-Nyandeng axis survive its tumultuous infancy and graduated into a fully fledged political force, who will they take on other than President Kiir? Most likely, it would be Kiir-Wani-Lam’s alliance. Yes, Dr. Lam Akol shouldn’t be counted out. Not yet! If you are in Juba, then you must have heard Mach-kuol tales of Lam being groomed as the next National Minister for Environment–replacing the recently dismissed Abdallah Deng Nhial. All indications point toward that eventuality. Dr. Lam, a long time traitor, was received like a rock star, with all state security and amenities at his disposal, when he recently landed in Juba, after years of self-imposed exile in Khartoum. After all, politics is the art of possibilities. With Pagan gone, President Kiir would be tempted (if not already convinced) to take in Dr. Lam, killing two birds with one stone in the process. Firstly, Dr. Lam, who has the absolute loyalty of the Shilluk’s voters (look at the MPs, how many SPLM MPs are from the Shilluk kingdom?) will surely prop up Kiir’s numbers during the Presidential election. Secondly, with Lam in the cabinet, it would be hard for the critics to accuse Kiir of marginalizing the Chollo people. Of course, many people from the Kiir-Wani’s camp would be aghast at the thought of them sharing political bed and platform with a character like Lam. That is true, except that the Machar-Pagan-Nyandeng’s camp won’t dare to question the credentials of Kiir-Wani-Lam’s camp while they have their own elephant in the room. It is therefore safe, politically, for Kiir to bring Lam on board without the slightest worry of being branded a Khartoumer for associating with Khartoumers. “Those people in the glass house should not be the first to throw the first stone”, Kiir would be telling anyone within ear-reach to emphasize his point. With all things considered, it is Kiir-Wani-Lam camp vs Machar-Pagan-Nyandeng group that would possibly define political trend in the country. Who will carry the day in the contest for the SPLM chairmanship and for the highest office in the land–the presidency? Will it be the former or the latter group? Will it be two camps as posited above or will more factions spring up? Will these political camps usher in the politics of personality and tribalism or of ideological struggle? What is Kiir’s vision for the country? What is Dr. Machar’s, Pagan’s, Nyandeng’s etc.? And the voters: should we sympathize with them or are they simply getting the government and the leaders they deserves, to paraphrase the Hon. Mansour Khalid? The jure is still out there! 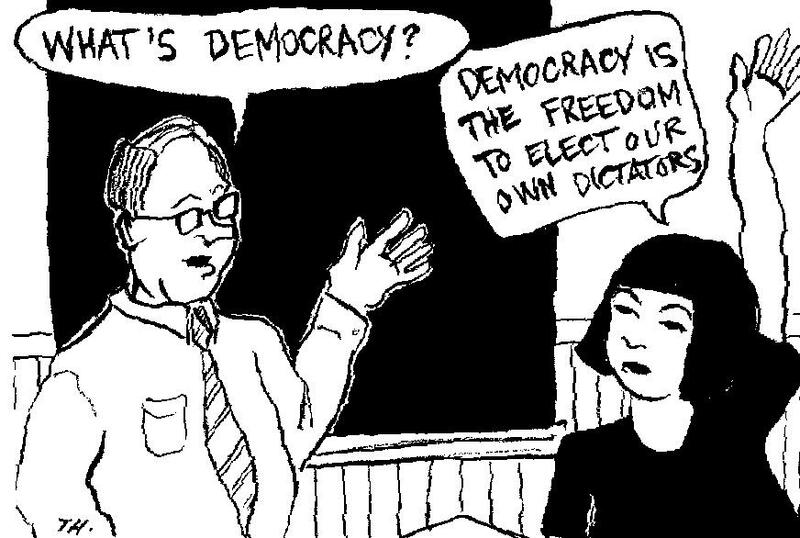 The voter will decide, or so consoles the myth!! PaanLuel Wël (paanluel2011@gmail.com) is the Managing Editor of PaanLuel Wël: South Sudanese Bloggers. (Reuters) – South Sudan said on Saturday it had repulsed an attempt by the Sudanese army to retake a disputed oil-producing border area, extending a stand-off that has edged the two countries closer to a full-blown war. South Sudanese troops wrested control of the Heglig oilfield from Sudan on Tuesday, prompting widespread condemnation from global powers and vows of retaliation from Khartoum. The Sudanese army said late on Friday its forces were advancing on Heglig, vital to Sudan’s economy because a field there accounted for about half of its 115,000-barrel-a-day oil output. The fighting has halted that portion of its output, officials say. “They tried to attack our positions around 40 milesnorth of Heglig last night but it was contained,” South Sudanese Information Minister Barnaba Marial Benjamin told Reuters. “Heglig is (still) under our control,” he added. Sudanese army spokesman Al-Sawarmi Khalid did not answer his mobile phone when Reuters attempted to call him on Saturday. The fighting has brought the former civil war foes closer to a resumption of full-blown conflict than any time since the south seceded in July, and struck a blow to Sudan’s already struggling economy. The Sudanese pound hit a historic low on the Khartoum black market as people fearing the economic fallout of the conflict rushed to convert savings into dollars, money traders said. Landlocked South Sudan shut down its own output – about 350,000 barrels a day – in January after failing to agree how much it should pay to export crude via pipelines and other infrastructure in Sudan. Juba now says it will withdraw from Heglig only if the United Nations deploys forces to monitor a ceasefire. The crisis has all but killed hopes that the two countries would be able to reach a swift agreement on partition-related issues through African Union-brokered talks. Khartoum pulled out of the negotiations after the south seized Heglig. MOMBASA, Kenya — Sudan and South Sudanengaged in a second day of direct military clashes and aerial bombardments on Saturday in what the South described as a “limited war” between the two nations that will continue indefinitely “off and on. Sudan says it has launched a counterattack toward a key town in a major oil-producing region, occupied earlier this week by South Sudanese forces. Army spokesman Sawarmi Khaled Saad Friday said Sudanese forces were getting close to Heglig. AP A doctor says five people were killed in bombings on strategic locations in South Sudan’sUnity State. Peter Gatkuoth, medical director of Bentiu Hospital, says four civilians and a soldier were killed Saturday. Jets released six bombs. South Sudan shuts down oil production in the disputed border area of Heglig as SPLA Advances 23KM DEEP. Time To Forgive The Sins Of Past! By Luk kuth Dak – USA. “Forgiveness is not an occasional act, it’s a constant attitude.” Martin Luther King, Jr.
Don’t we all know that there is no other place on the face of the earth, where forgiveness is desperately needed other than the Republic of South Sudan (RSS)? And anything short of that means that the future of the newest – born nation will always be surrounded by uncertainty?! There are many, many books about forgiveness – and everyone I have ever read, the latest of which is “Dare to Forgive: The Power of Letting Go and Moving On,” by Edward M. Hallowell (2006, HCI). This engaging book offers powerful testimony on the importance of forgiveness and moving on with our lives. Our distinguished Vice President, Dr. Riek Machar did himself a lot of good by apologizing to the Bor community, for his role in the massacre of helpless civilians under his watchful eyes. He can now travel to Bor without having to look over his shoulders. Quite simply, that’s the beauty and the power in forgiveness. “The time is always right to do the right thing.” Martin Luther King, Jr. But there are very many other politicians in South Sudan, who committed similar acts of evils but do not want to take responsibility for their treacherous actions, and ask for forgiveness from the families and the communities of their victims. Unfortunately, to my knowledge, Dr. Lam Akol has never apologized for his role in other massacres in some parts of the country, particularly in Nasir Area. Perhaps Dr. Lam and others, too, should follow Dr. Machar’s braveness and acknowledge their disastrous roles in which some precious innocent lives were lost all across our land. Of course, we can’t bring the dead back to life, but for fairness sake, the families and the communities, who have lost some loved ones, need to come to a closure, so that they can move on with their lives. It’s a win-win situation, however, for both the victims and the victimizers. As Dr. Machar kicked it off, those who will follow his foot steps ultimately will find out that they have liberated themselves a great deal to live the rest of their lives free from the burden of the guilty conscious that could bog them down forever. But all of us citizens of the Republic of South Sudan share a responsibility to promote and maintain peace among our ethnic communities. We should be highlighting the things that bring us together not those set us apart. Our culture, our history, our struggle together for freedom. I remember quite vividly when I growing up in Nasir, that the Nuer often cross the Collo land without food or water, but when the Sun goes down, all they had to do was to check into the nearest house, where they would be given food and a place to sleep, before they continued their journey to Malakal, the capital city of then Upper Nile Province. And in my hometown, Nasir, we had a huge presence of Collo, Dinka, Anyuak and a few Murle communities, who lived side by side with the Nuer in harmony and respect. In all truth, I do not recall any conflicts among them. In fact, most of my closest friends were from the Dinka and Collo respectively. The central question now becomes: What has changed? The answer to that question: There’s no other evil in South Sudan other than those greedy selfish politicians, who are using their communities for their individualistic goals. Instead of creating an atmosphere for peace and harmony, they are engaged in highlighting our differences – the things that break us apart. If we would only refrain from looking down on other ethnicities, stop using negative adjectives about them, and if each of us would go to our respective communities and talk to regular folks about our commonalities – the things that unite us, we’ll have a chance to coexist, and no one will break us apart. We look almost alike for a reason! Oil revenues account for 98 per cent of the government’s income. South Sudan will survive despite halting its vital oil production in a dispute with Sudan, the country’s Vice-President Riek Machar has told the BBC. Oil revenues account for 98% of income for the country, which gained independence from Sudan last year. But the two never agreed on the transit fees that Juba should pay for using Sudan’s oil export infrastructure. Mr Machar said development would be put on hold for several years, but basic services would not suffer. He said government salaries, including for those for members of the large military, would be paid. “For a period of 30 months we will definitely freeze our activities on development, but we’ll provide basic services: health, education, water and even some infrastructure projects will go on,” he said. South Sudan and Sudan fought a bitter civil war for decades in which some 1.5 million people died. Before halting production last month, South Sudan accused Sudan of stealing oil worth $815m (£518m). “Unfortunately Khartoum has not co-operated with us, so instead of Khartoum taking the oil, we’d better freeze it until we get alternatives to exporting oil, so that people of South Sudan can enjoy their own resources,” Mr Machar said. He dismissed the view of Sudan’s President Omar al-Bashir that war between the two nations was closer than peace. But he admitted there was no immediate prospect of the two countries coming to an agreement on the many issues that divide them. The great divide across Sudan is visible even from space, as this Nasa satellite image shows. The northern states are a blanket of desert, broken only by the fertile Nile corridor. South Sudan is covered by green swathes of grassland, swamps and tropical forest. KHARTOUM, Sudan — Negotiations between Sudan and South Sudan over billions of gallons of oil have ended with very little progress, prolonging a dispute that is undermining the fragile economies of both nations and straining the tenuous peace between them after decades of war. “There was nothing new,” Yahia Hussein, a member of Sudan’s negotiating team, said Thursday after returning from the Ethiopian capital, Addis Ababa, where the negotiations were being held. Sudan and South Sudan have been locked in a series of talks since the south seceded and became independent last July. The highly volatile issues to be resolved include the demarcation of the border separating the nations, the status of citizens in each country and, most thorny of all, oil. Most of the oil is in South Sudan, a landlocked nation, so the pipelines and the facilities to export it are in the north, requiring the two sides, which fought one of Africa’s longest and deadliest civil wars, to cooperate. Both nations depend enormously on the oil revenues, but the distance between them is wide. Sudan is demanding a $36 per barrel fee, citing the costs of processing the oil and various fees and services. South Sudan says that it would pay only the transit fees, putting the cost at $3 per barrel. Last month, South Sudan stopped its oil production in protest, accusing Sudan of stealing $815 million worth of oil and announcing that it would seek to construct alternative pipelines to Kenya and Djibouti. Sudan argued that it was taking its fees “in kind” because it had not received any payments for transit since July. But Nhial Deng Nhial, South Sudan’s foreign minister, appeared to be less optimistic. Abdelwahab El-Affendi, a professor at the University of Westminster in London, said oil would be the most difficult issue to resolve. “The southern leadership has unleashed powerful nationalist sentiments over the oil issue, which would be difficult to contain and would constrain the leadership’s ability to make concessions in the short term,” Professor El-Affendi said. Still, negotiations over the borders seem to have achieved some progress. Mr. Hussein said the two sides had agreed to start marking the borders immediately, an process that should take about three months. Sudan and South Sudan share a long border with a number of disputed areas. Seeking to calm fears of renewed conflict, Sudan and South Sudan signed a nonaggression agreement last Friday, but just days later South Sudan accused Sudan of bombing a border town and killing four soldiers, an accusation Sudan denies. The two sides must also deal with matters of citizenship. In April, at the end of an initial transition period, South Sudanese who live in Sudan will be classified as foreigners, and vice versa. Tens of thousands of South Sudanese seeking to go south have been stuck in the river city of Kosti, and South Sudanese officials accuse Sudan of hindering their return. Mr. Hussein denied the charge. The African panel that has been mediating the talks under the leadership of former President Thabo Mbeki of South Africa had helped improve the “mood of talks,” Mr. Hussein said. “There was less verbal abuse from their side,” he said, smiling. At some point, Professor El-Affendi said, the negotiators will have to deal with the conflicts in the Sudanese states of Blue Nile and South Kordofan, which share borders with South Sudan and whose leaders have historical ties with the regions. Last year, conflict in both states broke out when rebels who previously fought with the south took up arms against the Sudanese government in Khartoum. Sudan accuses South Sudan of supporting them. Without a cease-fire in those conflicts, “not much progress can be hoped for,” Professor el-Affendi said. A new round of negotiations has been set for the end of this month. JUBA, South Sudan, Feb. 17 (UPI) — South Sudan’s 3-week-old shutdown of its oil industry in a dispute over oil revenues with the fledgling state’s former leaders in Khartoum is likely to drag on and push up global oil prices. Until the Jan. 25 shutdown, South Sudan, which became independent last July 9 after decades of civil war, was producing only 260,000 barrels per day, a mere 0.3 percent of global production last year. But that tally is deceptive, the Financial Times said. “South Sudan produces a particular kind of crude sought by Asian importers due to its low sulfur and high waxy content,” the newspaper reported. “The loss could not have come at a worse time as the demand for the African nation’s two crude oil export grades — known as Dar Blend and Nile Blend — is stronger than ever this year due to power shortages in Japan, which are forcing utilities to burn unrefined crude, and a strong fuel oil market in the Asia-Pacific region. Oil prices hit a 6-month high of $120 per barrel Wednesday over concerns that Iranian crude exports may be cut off. Iran is the world’s third largest oil exporter after Saudi Arabia and Russia. With Iran’s oil supplies being steadily eroded by U.S. and European economic sanctions, tightening U.N. measures against Tehran over its refusal to abandon its contentious nuclear program, the Chinese have concentrated on seeking alternative crude suppliers. So have the Japanese and Indians. Iran has threatened to block the strategic Strait of Hormuz, the gateway to the Persian Gulf, thus threatening to cut one-fifth of the world’s oil supplies and to cut off supplies to European customers. But, as with South Sudan, an insignificant producer, political instability in Nigeria, which included an attack on oil facilities in the southern Niger Delta region, and even in Yemen, another minor producer whose output is threatened by political upheaval, has caused global jitters about oil supplies. Meantime, Libya’s production is well below the level of 1.6 million barrels per day it was producing before the uprising against Moammar Gadhafi erupted Feb. 17, 2011, although it’s recovering steadily. Libya’s low sulfur crude is also highly prized at refineries in Europe, Libya’s main oil customer. That’s added to the growing shortage of this category. China has secured supplies of low-sulfur crude from Angola, Africa’s top producer, while Japan has gone to Vietnam for its Su Tu Den crude, adding to the upward pressure on prices. “The market is bracing for a long-lasting disruption” in South Sudan, the Financial Times noted. Even if South Sudan and Khartoum do manage to reach an agreement on revenue-sharing following the south’s secession, and given the hostility between them that’s a distant prospect, it will take weeks to get the pipeline system that carries southern crude northward to the Port Sudan terminal on the Red Sea functioning again. South Sudan’s national oil company says it could restart production in a few days but reinstating the 1,000-mile pipeline is a more complicated process. “Oil traders involved in South Sudanese crude say the country would need between three and five months to restart production, as at a cost of $300 million,” Financial Times Commodities Editor Javier Blas reported Monday. The International Energy Agency, the Western consumers’ watchdog, estimates that South Sudan’s pre-shutdown won’t recover until the fourth quarter of 2012 at the earliest. “Traders fear a more lasting disruption, with South Sudan production running at zero for the remainder of the year,” Blas reported. Saudi Arabia, which has pretty much all the spare global production capacity, has said its maximum output is 12.5 million bpd, enough to cover any shortfall. But the IEA said in its latest monthly report for February that the kingdom’s maximum output was 11.88 million bpd because of declining oilfield production. That may not seem much of a difference but it will be if a major supply crisis occurs. Arthur Akuien Chol: My Conscience is Clear and Clean!! Mr. Chol was fired and arrested in 2007 over an allegation that he pocketed $30-60 million. But he was freed immediately afterward when, allegedly, heavily armed “boys from his clan” broke into the government prison and took away Mr. Chol daring anyone to follow them. In one of the recorded corruption incidences, the government was reported to have paid over $400, 000 per a vehicle. The former finance minister has remained free ever since, no investigation or further arrest has been carried out. The surprising resurfacing of Mr. Chol, after years out of the limelight, could be attributed to a recent report released by South Sudan Auditor General, Mr. Stephen Wondu, that concluded “that millions of money was swindled in the year 2005-2006 alone.” The report recommend the persecution of all people link to the malpractices of the time. Mr. Chol was not only the finance minister responsible for the purse, he has already been implicated in those corruptions. Press Release from Hon. 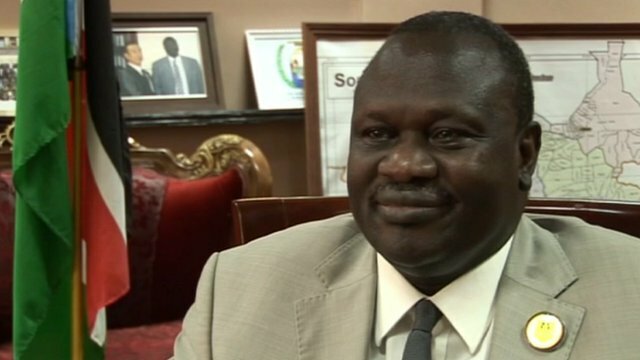 Arthur Akuien Chol, South Sudan Former Finance Minister Fired For Corruption. On behalf of the South Sudanese citizens, the leadership of South Sudan, and on my own behalf, I wish to take this opportunity to thank all the sons and daughters of this new born nation, and congratulate them all for a job well done in ensuring our independence as a new nation. I would also extend my warm appreciation to the leadership of our president, Gen Salva Kiir Mayardit for leading us through the hardships and delivering us to our newcountry. My appearance today before you all is in the sole interest of all citizens of this country, the Republic of South Sudan towhom I remain loyal. As you all know, I was the first minister of Finance and Economic Planning for the Government of South Sudan, a position I held through the era of struggle, upuntil 2007, when I was removed from office, due to false allegations ofcorruption that were made against me. Today marks my first public appearance inreference to this matter, as I have never spoken out since my removal fromoffice. The reason why I have never publicly stood up and countered theallegations, was for reasons of patriotism. I did not want to spoil the process that was leading us, as the peopleknown as the “Southern Sudanese”, to the independence of South Sudan, and thesubsequent declaration of the Republic of South Sudanas a united nation. I was accused recently in the newspapers, and by some Parliamentarians of not going to Parliament to answer questions about the irregularities in the 2006 report produced by the Auditor General. Thereason why I was not present at that meeting was because I was told that my presence was not required, as I had already written and submitted a report tothe Public Accounts Committee. As I have noted, there have been constant attempts being made by some few individuals within the current governing body to discredit and defame me as a significant figure amongst the founding members of this nation. These accusations all range from my time in office after the signing of the CPA and the formation of theGovernment of National Unity, and continue to this date. It is unfortunate that I have now been pushed to the point where it is necessary forme to stand up and take this opportunity to list out some, if only a few, ofthe transgressions made by a few against the Public interest of the People of South Sudan, for, as I mentioned earlier, time and circumstance had now allowed me to speak out, and let the whole country know how public funds were, and arebeing mishandled and misused. 1. In 2006, I was accused of misusingand stealing public funds. This was propagated by some few individuals within the government that led to a caucus sitting of the Sudan People’s LiberationMovement (SPLM) as an intervention. The latter, in response to this matter,resolved with their own clear findingsm that transparency and accountabilityhad existed within what was then, my Ministry. In my own opinion, this was the beginning of my downfall. The government of theperiod of 2005-06, had a great influx of cash, and I being the Minister ofFinance at that time, had strict operative values, that could not allow public money to be rotating anyhow amongst corrupt individuals. This was the beginning of my accusations, by a manipulation of opinion, both Government and Public, and used as a way for me to be removed from office, in order to allow a certain few unscrupulous and corrupt individuals within the governing system, easy access to public money, without the fear of question by me. 2. In the same year of 2006, I was again accused on matters regarding a grant of $ 60, 000, 000 (Sixty million US dollars) given to GOSS/SPLM by the president of Sudan, Omar el Bashir. These accusations were made by the SPLM Secretary General, Pagan Amum, and Luka Biong, the treasurer of the SPLM, stating that I had stolen the above figures but clearly, this amount was paid to the account of GOSS in the Bank of Sudan with Issac Makur and Silvano Jal Malith assignatories to the account. My involvement in this could be in reference to the approvals I made, having been given instructions from above, which led to the expenditure of $30, 000,000, of which I hold copies of the originals, of all documents of the above expenditures, and can fully account for them. The other $30,000,000 was placed in the hands of SPLM SG, Pagan Amum, as it was paid by the Ministry of Finance directly into his account as once again I had been instructed from above. That transfer was done on 22 December 2006 and I believe that he, Pagan Amum is the one who should account, and he can clearly tell the public how he spent those funds,as I am not accountable for his expenditures. This has all led up to this, which I hope is the final accusation, and which is the driving factor of holding this press conference today, so that you, the members of the Press are fully briefed and can inform the public at large that there are more facts to this accusation that have never been spoken about or disclosed. These accusations have been directly made by an individual who has turned to the media to show grievances of his dismissal as the Governor of Bank of South Sudan.For instance, I was tasked by the Auditor General to explain why there was adiscrepancy of US$ 7 million between the amount transferred out to the accountin Geneva and the amount returned to the accountof GOSS in the Central Bank of Khartoum? I replied that the Central Bank of Khartoum should be the ones to account for that as theywere the agents of the transactions. In conclusion, however, I do acknowledge and commend the Auditor General for having tabled the audit reports for the year 2005-2006 before the national assembly, however, I do not believe that there was sufficient attention given to the discovery of the true facts and I am of the opinion thatthe Auditor General should instruct his auditors to do a full audit and discovery on the National Bank, and I am sure if they do this in a diligent andprofessional manner, they will find the missing links, as they are there, but not yet discovered. In light of the current oil crisis, and the austerity measures proposed to be undertaken by the Government of South Sudan, I strongly recommend that proper investigations be carried out to determine actual truths to the matter at hand. These false allegations that have been made against me, have caused me and my family to endure a great amount of personalsuffering, public suspicion and abuse, and is widely reported on the internet that I have stolen money from the Government of Southern Sudan. This is apersonal attack against my integrity, and indirectly reflects on the integrityof my family, who have suffered in silence, while protesting my innocence. I let it be known, that for the sake of this Nation, and from the time I was appointed as the guardian of the Nations finances, I guarded them well, and I thank the late Dr John Garang Mabior and his Excellency Salva Kiir Mayardit for having entrusted me with the guardianship of the Nations finances up to the CPA in 2005 and beyond, up to my removal from office in 2007. I take this opportunity to inform you, the members of the Press, the people of South Sudan,and the International community, that I am not afraid of the Court, and will welcome a full and thorough investigation, conducted with full transparency,that will disclose the full facts and truth behind the discrepancies and missing funds, and I can assure you that I will once again be exonerated, but this time the true corrupt individuals will be exposed by a proper investigation of the facts. This Nation must stand proud. We fought a war and won it. We had our referendumand won it 98% and won, and with that we won our Independence. We must now fight and win our financial war,both here at home and with Khartoum. Corruption should not be condoned, and that is inaccordance with the wishes of his Excellency the President. JUBA- Former Minister of Finance Arthur Akuien Chol levelled strong accusations against the SPLM Secretary General Pagan Amum of receiving 30 Million US dollars from him in his personal account in 2006 and further alleged that the Vice President Dr. Riek Machar Teny instructed him the same year to purchase vehicles for the Government of Southern Sudan GOSS from Cardinal Company whose price was twice the actual amount. The Ex-Minister claimed that before he approved the money to be transferred to the SPLM Secretary General’s account he got instruction from what he described as “from above” without stating the name of the person to do so. The matter was generated by recent discussion of the Audit Report of 2005-6 and the accusation against Chol by the Former Bank Governor Elijah Malok in the Parliament describing Chol as a “thief” at the end of last month, accusation which Chol brushed off. Chol at a Press Conference in Home and Away yesterday explained that in 2006 a sum of 60, million US dollars was given to GOSS/SPLM by the then Sudan President Al Bashir and sent to GOSS Account and he (Chol) due to instruction “from above” approved $30Million for expenditure out of the 60 Million and he has documents to verify the expenses and then released the other half of $30 Million to Amum to account for it. “I can account for the $30Million of which I hold the copies of documents because my involvement in this could be reference to the approvals I made having been instructed from above but the other $30, Million was placed in the hands of SPLM SG Pagan Amum as it was paid by the Ministry of Finance directly to his account as once again I had been instructed from above to transfer that amount and Pagan should account for this,” Chol claimed displaying to Reporters photocopies of the authorization letter and cheque issued. This followed the allegations labelled against Chol that he was corrupt. “It is unfortunate that I have been pushed to the point where it is necessary for me to stand up and take this opportunity to list out some, if only a few of the transgressions made by few against the public interest of the people of South Sudan,” Chol said in a press conference he organized to “clear” himself from Public about corruption allegations. Returning to his removal his ministerial position in the Ministry of Finance, he said it was due to the allegations that he purchased the vehicles from the Cardinal Company in which it was not true that he conducted the process alone but that he was instructed by the Vice President to do so. “I was accused of purchasing vehicles from Cardinal Company at a price twice the actual amount leading to my removal as the Minister of Finance. Well these vehicles were purchased following written instructions from the Vice President Riek Machar, that I should purchase the vehicles from the expensive Cardinal Company for various Ministries, in turn I directed the Undersecretary of Finance to proceed with the transactions and left for Malaysia and Singapore. Efforts by the Citizen to get the Secretary’s General reaction and the Vice President to the allegation were unsuccessful. See the press release inside. The South Sudanese Ex-Finance Minister Arthur Akuien Chol has appeared for the first time to speak in public since his dismissal in 2007; to deny all corruption allegations labeled against him and accused the SPLM Secretary General of embezzling $30Million US Dollars. JUBA, 10th February 2012 [Gurtong] – The South Sudanese Ex-Finance Minister Arthur Akuien Chol has appeared for the first time to speak in public since his dismissal in 2007; to deny all corruption allegations labeled against him and accused the SPLM Secretary General of embezzling $30Million US Dollars. Akuien’s appearance came under pressure when the National Auditor General’s Financial Year reports for 2005/6 were last week referred to the National Ministry of Justice for prosecution of all civil servants found guilty of squandering public funds. “I do not believe if sufficient attention was given to facts and I am of the opinion that the Auditor General should do a full audit on the National Bank, and I am sure if they do this in a diligent and professional manner, they will find the missing links,” Akuien told the press in a three page statement. Akuien was appointed during the then Government of Southern Sudan (GOSS), in 2005 as the guardian of the Southern Sudan national treasury and instructed the usage of the government’s finances. The Auditors’ report accused him of opening personal bank accounts abroad in countries like Geneva in the name of the government. The report also accused him of embezzling $7million US Dollars while his alleged accounts have been freezed by the Khartoum government. He was also accused of embezzling over 6.2 billion Sudanese Pounds on government’s sorghum purchased to curb famine crisis in the country. Akuien’s corruption allegations came to light when the former Governor of the Central Bank of South Sudan Elijah Malok exposed his secrets when summoned by the national assembly. He accused Akuien of diverting government funds into his foreign private bank accounts during his time in office. However, during the press briefing yesterday at the Home and Away hotel in Juba, he declined of any involvement in all the alleged corruption malpractices. But rather accused the SPLM Secretary General Mr. Pagan Amum to be held accountable for the transfer of $30million US Dollars into his accounts, the money that was then released by the Sudanese President Omar Al Bashir. If the Justice Minister took the legal steps on the referred Auditor’s report, Akuien will be one of the persons to stand in trial. However, he expressed his willingness to cooperate and to join the fight against corruption in the country. “We must now fight and win our financial war, both here at home and with Khartoum. Corruption shouldn’t be condoned in accordance with the wishes of the President,” Akuien reiterated. “And I can assure you that I will be exonerated – but this time round the true corrupt individuals will be exposed,” Akuien added. The Former Finance Minister in the then government of Southern Sudan, Arthur Akuein Chol who is set to hold a press conference today to explain the missing money during his era and expose corruption by some of the government officials. He will be speaking to the press today at Home and Away to explain the missing money to journalists. As the issue of money said to have been misappropriated during the period 2005-6 raises public concern, Akuein will today give tips of how some of these money disappeared. He is threatening to expose corruption that happened in former Bank of Southern Sudan and the exchange of money in Rumbek. Akuein intends to expose to the media how money was used in the Bank of Southern Sudan and other corruption scandals. The auditor general, Stephen Wondu had released a report that millions of money was swindled in the year 2005-2006 alone. The report evoked questions on the squandered money. Following the report that led to the weeping of a member of parliament, Athur Akuein is today also set to unveil to the media what went wrong with the money during his era and expose corruption issues including the officials involved. The South has been warned by countries against corruption and the President of South Sudan Salva Kiir Mayardit has said that his government is moving towards zero tolerance to corruption. After the auditors’ report, the public is keen in following up whether the perpetrators will be brought to books or not and watching with keen interest the work of the Anti- Corruption Commission which has started by declaration of assets program. As we wait for the details from Akuein today, we are yet to see whether serious investigations will be taken into the matter. The South Sudan National Assembly (SSNA) yesterday resolved that the Auditor General’s report for the fiscal financial year 2005/6 be submitted to the National Ministry of Justice so as to prosecute those found guilty of squandering the public funds. JUBA, 31st January 2012 [Gurtong] – The South Sudan National Assembly (SSNA) yesterday resolved that the Auditor General’s report for the fiscal financial year 2005/6 be submitted to the National Ministry of Justice so as to prosecute those found guilty of squandering the public funds. The recommendation follows several days of deliberations on the report after its presentation by the parliamentary committee of Public Accounts. The parliamentarians were divided as to who should receive the report for legal actions. 6 MPs abstained from voting, 44 voted for the report to be referred to the Anti Corruption Commission after the former South Sudanese Minister of finance A. Akuien is investigated. Former South Sudanese Central Bank Governor Elijah Malok told the House that, Akuein who was sacked in 2007 as finance minister by the President was responsible for the opening of some foreign accounts abroad in Geneva. Malok also disclosed that, Akuein was involved in diversion of public funds into his personal account. However, former Justice Minister, currently Minister of Cabinet Affairs Hon. Michael Makwei later influenced many parliamentarians; 68 voted for a motion that the report be referred to the Ministry of Justice for the legal proceedings. During the first presentation of the Public Accounts Committee after its work on the report, the South Sudanese Minister of Justice told the August House he will not prosecute any person found guilty on the report. This is due to the fact that the Auditor General’s report should have covered all the government institutions. Many parliamentarians criticised the report saying it is not comprehensive and lack several facts. Others also criticized that the reports were not comprehensive since they dint audit the Presidency, Judiciary and some government institutions. However, Mr. Stephen Wondu, the Auditor General who was also summoned yesterday to clarify questions by the House informed Parliament that, at the time of the auditing, several of the government institutions had refused to cooperate with the Chamber. He told the House also that, as far as his work is concerned, professionally he is to report whatsoever he had found and expressed his opinion. He also cited lack of human resource, political will and ignorance among some of the government institutions as barring factors for comprehensive report. The 2005/6 financial reports of the Auditor General are the first audited reports presented to parliament since the establishment of the government in 2005. Wondu who took over office in 2010 said that, the prevailing situation in which the government was set up then and the system of accounting, transactions and payments he mentioned could not give the Chamber adequate resources and ground to come up with a comprehensive report. In his opinion on the two reports, he said they do not express fair and transparent usage of the South Sudan public funds. During the same sitting the August House continued to deliberate and discuss the report of the Committee of Energy and Mining, Commerce and Industry on import and export Bill, 2011 in its second reading by Hon. Henry Dilah Odwer, the chairperson of the committee. The Bill was a result of sitting No. 13/2011 of the first session dated 21st September, 2011 which was tabled by the minister for Justice after the Bill was presented to the August House. The Bill was referred to the specialized committee in accordance with 99 (1) of the adopted Southern Sudan Legislative Assembly Regulations (2010) for scrutiny of the Imports and Exports Bill, 2011. After long deliberations and debate, the August House decided to pass the Bill to third reading with observations and amendments and present next day for third and fourth reading due to urgency. The sitting was chaired by Right Hon. Speaker Gen. James Wani Igga and attended by 212 members. It was also attended by ministers, Auditor General and chairpersons/deputy chairpersons. JUBA, 23 January 2012 – The President of the Republic H.E. Gen Salva Kiir Mayrdit has appreciated the people of South Sudan – the youth, women civil society and religious leaders for supporting the decision made by the government to shut down the oil production. President Kiir (centre) addressing the procession. He is accompanied by the Vice President Hon Dr Riek Machar Teny (left) and the speaker of the National Legislative Assembly Rt Hon James Wani Igga (right). H.E Kiir made these remarks when addressing a peaceful public procession at the National Legislative Assembly, organized today on Monday January 23rd, 2012 by the civil society organizations and South Sudan Students’ Union, to support the government’s decision of shutting down the oil production. President Kiir assured the people of South Sudan that South Sudan will not allow Khartoum to loot its oil again. He also asserted that the pipeline to Khartoum is not the only lifeline and that there are other alternatives available. “We do not have problems with the people or citizens of Sudan but we have problems with the ruling government in Khartoum”, he clarified. He described the ruling class as Al-Asaba(gangs). President Kiir called on the South Sudanese citizens not to harm any citizen of Northern Sudan living in South Sudan explaining that they are innocent citizens. South Sudanese hold a procession in support of the government’s decision. On his part, the deputy governor of Central Equatoria state (CES) Hon Manasi Lomule read to the procession a memo from the people and government of his state that the CES is hundred percent supports the National Council of ministers decision of shutting down the oil production and look for other alternatives for exporting South Sudan Oil, and CES stands firm with the President of the Republic H.E Gen. Salva Kiir Mayardit and will follow the developments keenly. JUBA, 21 January 2012(NASS) – The Republic of South Sudan has instructed all foreign companies operating in its oil fields to prepare a shut down plan for halting the operation of its oil. The order was announced by the minister for Information and Broadcasting and the Official Spokesperson of the government of South Sudan, Hon Dr Barnaba Marial Benjamin to reporters yesterday in a press briefing at the Ministry of Information and Broadcasting headquarters. He said the Republic of South Sudan’s crude oil is now not safe in the Republic of Sudan saying that it is being stolen and prevented from reaching the international market by the government in Khartoum. “In the last few days Khartoum has stolen approximately over $ 350million worth of oil from South Sudan using force while preventing over $ 400 million from being purchased and this is through restricting vessels from entering or leaving the port by using their security”, Dr Marial explained. Hon Marial (right) and Hon Dhieu (left) addressing the media yesterday. On the 19th, Jan. 2012, GOS lifted by force 600,000 bbls of RSS’ Nile blend crude oil. “Indeed, the option of shutting down the oil companies is not the best but the Republic of South Sudan is a sovereign nation and must protect its resources”, said the minister for Petroleum and Mining Hon Stephen Dhieu Dau. He stated that the oil operations will remain shut until a fair deal is reached with Khartoum or else it will remain so till South Sudan develops its own oil infrastructure that will ensure the people reap the true benefits of their oil. He also promised to return the oil stolen by Khartoum right from the 24th Dec. 2011 till the last day of the theft. He stressed that he will never give up until the stolen oil is brought back to its rightful owners, the people of the Republic of South Sudan. He further warned the oil companies involved in buying the stolen that the government of South Sudan has already taken legal procedures to trace them and will take drastic legal action against them. “I know challenges are there after shutting the oil fields but the government through the Ministry of Finance and Economic Planning has taken measures to address them; we will soon be building our own pipeline to transport oil through the Republic of Kenya”, he said. Dr. James Okuk: Brief Report on South Sudan National Constitutional Review Process; Members of South Sudan’s Constitutional Review Commission. Members of South Sudan’s Constitutional Review Commission. During the consultative meeting that was convened in Home and Away Hotel in Juba in the evening of 6th January 2012 chaired by Dr. Riek Machar, Vice President of the Republic of South Sudan in presence of South Sudan Political Parties Leaders (representatives), Mr. John Luk Jok, Minister of Justice of the Republic of South Sudan presented a memo of FRAMEWORK FOR ESTABLISHMENT OF THE CONSTITUTIONAL REVIEW COMMISSION (CRC) dated 05/1/2012 with Ref. MOJ/J/RSS/2011. 1. The memo outlined the legal framework that required the President of the Republic of South Sudan constitutionally to establish the National Constitutional Review Commission (setting out mandate, powers, function, legal status, provisions for staffing, etc) and appoint Commissioners (including their terms of service) by decree after completion of consultation. 2. Also the memo outlined Membership and Criteria of appointment, citing that the Transitional Constitution of South Sudan requires the President of the Republic to consider: competence, experience, technical expertise, representativeness, integrity and independence of appointees. 3. Further, the memo highlighted that the Transitional Constitution does not stipulate the number of Commissioners and thus, it is proposed that the number be around 15 – 25 so that the group is small as it is meant to be based on expertise with effective coordination. 4. Further more, the memo outlined that those who are required constitutionally to be consulted by the President of the Republic are: Political Parties, Relevant Professional Bodies ( e.g., Bar Association, Law Society, Academia, etc), Women, Civil Society Organizations, and Persons with Disabilities. 5. The memo set out the criteria for identifying legitimate Stakeholders Groups and Civil Society Organizations to be: formal registration of the organization, substantial membership, length of period of existence of the organization and participation in national issues. 6. Also the memo indicated the 9th January 2012 to be the deadline timing of consultation for the establishment of the formation of the CRC as requires by the transitional constitution, and urged that the consultation be completed quickly within the remaining three days so that the President of the Republic could make formal appointment of the Commission members. 7. Finally the memo mentioned that the consultation meeting was convened by the Office of the President and the Ministry of Justice in order to reach an agreement on the composition and nomination of the Members of the CRC. During the consultation meeting, many leader (representatives) of political parties seemed not to be happy with the short notice and hurrying of consultation meeting within a very short time. Most of them seemed to have agreed that the President may go ahead to appoint the Chairperson of the CRC and his Deputy as well as other permanent members of the Commission the total of which is 9 members. But the SPLM said that it will have the lion share by taking up 4 permanent members with the rest of political parties given 3 to share amongst themselves and non-participant groups given the remaining 1 member to share among themselves. Also the SPLM-DC requested that it be allocated 1 permanent member because it is the officially recognized Opposition Political Party in the new country. Regarding the non-permanent members of the CRC, it was reluctantly resolved that they be appointed later with SPLM taking up 21 members, other political parties dividing 10 amongst themselves and the non-partisan groups sharing 5 members among themselves. Regarding this, the SPLM-DC demanded that it be allocated 1 non-permanent member. It has been noticed that Civil Society and other non-partisans stakeholders were not invited to the consultation meeting and this seems to be a violation to article 202(2) of the Transitional Constitution of South Sudan, 2011. It is not clear whether they will be consulted somewhere else within the remaining two days before the deadline of the constitutional appointment of the Chairperson of the CRC and his Deputy. The same discontent about SPLM hegemony that surfaced during the drafting of the Transitional Constitution could repeat itself sooner in days ahead. Let’s watch the constitutional review process in South Sudan and speak out without any fear or favor. An attempt to marry peace and justice after ethnic conflict in Jonglei remains largely incomplete in the region. It is not the Lou Nuer’s fault, it is your incomplete and incapability to execute the order appropriately with balance considerations of all people in the State! January 1, 2012 (SSNA) — It is apparently clear that the South Sudanese and international community at large misinterpreted our anticipated self-defence against Murle community. This is to remind the international community and our national society that the fighting currently taking place in Jonglei is an anticipatory self defense and retaliations, reference to the Uror County attack on August 18/2011, the Mareng attack and Nyandit attacks of 2009. The Lou Nuer Youth had endured the Murle unfriendly behavior with patient and tolerant. The Nuer culture have taught us to forgive and give enough time to the people to rethink of what they had done to us without any cause while waiting for friendly negotiations. We are sorry that the Murle warriors were on run and they could not relief and cease our angry by confronting us in the day time. Uror County. If the US government can take about one month to retaliate against the Afghanistan’s terrorists, how would you expect the disarmed community to retaliate and defense themselves right on spot without guns in their hands? The August 18/2011 attack on Uror left many people missing, burn houses to ashes and killed women, old folks and children from age of zero upward. while murle death is unworthy? long time. The government of South Sudan had united against us when we regret not to surrender our guns. They had launched an attack aggressively against our Youth in the Cattle camps and in the Lou Nuer surrounding areas during the disarmament time. We insisted not to give our guns simply because we bought them with our cattle and resources but our elders intervened and many meeting were conducted to give our guns to the government. We voluntarily give the guns to the head division of Jonglei and we believed that the current government was witness to our voluntary disarmament. members all the times. We had realized that our disarmament was an optional plan for the government of President Salva Kiir and Dr. Riek Machar to allow Murle people to kill us and finish us all. What did we do? During the presidential election time, we voted without any doubt behind President Kiir Mayardit. He has shown up in Waat and Akobo during the election campaign and we kindly received him with respect. Although he lies and left an agenda that he would never fulfil, we respect his tolerant, patient and the fact that he fought aggressively for the success of South Sudan independent. This simple reason had convinced the majority of Lou Nuer Youth. We stand behind him until these days but trust of the leadership should not be used as an exchange for the life of our community members. He knows very well that majority of the people had welcomed and greeted him in Akobo and Waat until he promised that he will build the biggest Jonglei Health Center in Waat. Few months ago, our Youth representatives had called for peaceful settlement negotiation between the Lou Nuer and the Murle. Rev-Deng Bul was a key speaker to the peace initiative and conflict resolution but Murle community had rejected our call in present of Rev- Deng Bul. They refused to talk to us while we were the victims of their attacks on August 18/2011 and in the past. We are wondering if we should be the one to pursue peace alone or they are the one to add more hands on peace settlement negotiations. and the government of Jonglei would not be in Bor town by then. In many occasions, we had rejected George Athor (rebels) calls overwhelmingly but yet the government of South Sudan does not recognize and believed us as a part of state-building. Our being silence to this enduring mistreatments is not a fear but respect for the South Sudanese community. We had called and written many letters to Kiir Mayardit himself but nothing materialized as to disarm Murle or send the Murle elders to their community for peace mobilizations. UN compound and fight the SPLA forces unless if they launch an attack to us in defend of Murle. Murle Land. If eye for an eye will work, then we missed the magic for long time. ( Juba NSV) – Two Dinka Bor MPs from the National Assembly on Wednesday waded into Dr. Riek Machar’s Sunday apology to members of the Bor community for the gruesome killing of thousands of its citizens by the Nasir Faction’ forces in 1991, then commanded by Dr. Riek Machar Teny. In the same year, the community also saw its property looted and livelihood put into disrepair by the faction. At a gathering held at the home of the late Dr. John Garang to commemorate the sixth anniversary of his death on Sunday, Dr. Riek Machar, South Sudan’s Vice President stunned those who attended, when he unexpectedly owned up to the heinous crimes of the Nasir Faction in 1991. The apology came nearly twenty years after the massacre. The Sunday occasion was organized by Garang’s widow, Madam Rebecca Nyandeng, and supported by the committee, which was charged with organizing Martyrs Day, The New Sudan Vision has learned. Madam Nyandeng invited MPs, government officials, the Speaker of South Sudan parliament, religious leaders, the President, the Vice President, and members of the public. The event was announced at Emannuel Jieng church in Juba , and through SSTV. President Kiir did not attend the prayers, but the Vice President, Dr. Riek was one of the invited dignitaries who turned up. “The family [of the late Dr. John] took the opportunity to remember Dr. John in a bigger way because the vision and the legacy of what he fought for is now achieved,” Hon. Deng Dau Malek, MP for Twic East County , explained to The New Sudan Vision on Wednesday. Hon. Deng, who also spoke at the event in his capacity as representative for Twic East, where the late Garang hailed from, said most of the speeches at the occasion, bordered on memory of South Sudan’s fallen heroes and heroines, in light of last month’s historic achievement of independence for South Sudan, and what awaited its future. The lawmaker went on further: ‘“He said I should take squarely the responsibility of the events of 1991. And he said the people that have suffered were people of the Greater Bor, and the entire Jonglei. ‘“He took that day to express his apology to the people who are affected by the events of 1991”’, he concluded. When he was narrating the events of 1991, Dr. Riek broke down and wept, to the point where he nearly collapsed, several witnesses confirmed to The New Sudan Vision. The Vice President was then joined by his wife, Dr. Anjelina Teny, who was also reportedly in tears. The dramatic scene provoked a moment of raw emotions, where some of the victims started wailing in memory of their loved ones who had died in the massacre or its aftermath, while others were bewildered by the apology, The New Sudan Vision understood from various accounts from witnesses. In response to the apology, Caretaker Gov. of the Central Bank of South Sudan , Elijah Malok, as elder in the Bor community and immediate relative of the late Dr. John Garang, took the microphone. He was said to have expressed his bitter feelings about 1991, before concluding that he would personally forgive Riek, but that he would refer the case to the larger Bor community for deliberation on the next step. Madam Nyandeng, on the other hand, spoke the last words. She blamed Riek for setting the South backward with his 1991 move, when SPLM/SPLA was on the verge of victory at the time. She reasoned the Republic of South Sudan would have been achieved a decade earlier were it not because of the defection, The New Sudan Vision was told. On her own behalf and that of her children, the Former First Lady said she forgave Riek Machar for his crimes. On Monday, the Dinka Bor community called an emergency meeting, also held at late Dr. Garang’s home, and attended by representatives of the Bor community, intellectuals, citizens, and politicians to agree on how to handle the issue. (3) and those who are saying Dr. Riek’s apology will fall short if it comes from him alone and not from fellow perpetrators. In the meeting, a committee made up of Bor representatives to follow up on how genuine was Dr. Riek’s confession, was formed. Its members are waiting to meet with the Vice President to sought whether he stood by his apology, and to agree on how to best proceed with the issue. For Hon. Deng, Dr. Riek’s apology on Sunday was a welcome development. “As members of parliament, we say this is a good gesture for general reconciliation, and this is what we call Truth and Reconciliation. People must talk about the bitter things that had happened,” he told The New Sudan Vision, in an interview. On the timing of Dr. Riek’s apology, he said it “could be political” but also “reality” because reconciliation will be nonexistent if the people of Bor do not express their feelings about the horrific memory of the massacre. He carried on: “People of Bor have been uprooted by 1991. And we are saying we cannot do it alone here in Juba because Greater Bor people, who are affected, are at the grassroots. It may not be understood by people who are at home in the villages. “We encourage Dr. Riek to extend this gesture to the people who are really affected, and we’re talking about people who are in the rural areas,” he added. Hon. Malek held similar sentiments with his counterpart. “Generally, people are ready to forgive but they think that, this thing should be said in another bigger gathering, where people who have been affected or victimized, who have lost many [relatives], should be heard first,” he told The New Sudan Vision on Wednesday. “It should not be done at the political level. It has to be extended to the grassroots, so that those who are bitter, those who have lost their dear people, they have to air out themselves, and if that forgiveness comes out from them, then all are going to be healed,” he said. Dr. Riek’s belated apology has triggered all kinds of speculations about his intentions. Others wondered whether his apology was meant to solicit Dinka Bor support in his leadership ambitions. “This apology should not be misunderstood, as if we have something we’re cooking,” said Hon. Deng, when The New Sudan Vision asked him about the political implications of any resultant forgiveness from the community. “It’s from him, and he knows why he has said this at this time,” he said. “As a people of Bor, we’re firm behind the leadership of the SPLM, led by comrade Salva Kiir Mayardit. And so whatever reconciliation that is done, is done within the context of the existing structures,” he concluded. What’s more, Hon. Malek stressed the importance of having a uniform apology from the perpetrators. “What we want to know, is that, is this idea, the idea of Riek Machar alone, or the idea shared by those with whom he was doing this together. Riek alone, even if he’s forgiven and others are still maintaining that bitterness, it will not help. So I want this thing to be extended and we hear from others who were with Riek Machar, whether they are ready, what Riek has said, is what they have, then it would be good for us,” he told The New Sudan Vision. Sudan Tribune: August 11, 2011 — The Sudan People’s Liberation Movement/Army (SPLM/A) broke up in August 1991 until 2002, when the two sides came together again. The break up at that time was so devastating and nearly put the liberation struggle to its knees. There were problems everywhere: on the military and political fronts. The ugly part of it all is the tribal dirty seeds it has sown among our people. It was a split that never to be talked about openly unless one is prepared to soak all kinds of salvos from those against and for it. The split by our people at that time, just not to waste your precious time, was unnecessary fratricide and horror we must now leave behind as we look forward to rebuild our nation. A healing is badly needed, the very pain caused by the aftermaths of the 1991 split. No amount of reparation could assuage that pain of destruction in that land, but admission of the miscalculation or mistake does. A bright chapter was opened to important section of our society. It took one man initiative to burry the matter (hatchet). That is why this man called Machar has gone to bed with the Southern Public. The man is here to stay whether you hate or like him. He has everything it takes to stay there, irrespective of what haters want done or not done against him. This is a beauty of people with big hearts. May this gifted man continue to offer directions to his people, Oh! May the vision of this great man be firm and unshakable, Oh! But some people will rebuff the big man offer on the ground that it was ‘justice delayed and therefore should be denied’- that it came late. They also argue that the big man should have gone to Bor or Panyagor to express it under no pressure (recall how elders in the party started the argument. The other concern is that the Vice President made an apology after the man they have tried to wrest power has gone (dead). The author however thought that time doesn’t affect the truth so long as it was done in good faith. Going to Bor/Panyagor or Duk again isn’t a deal; since the big man has gathered courage to do what a civilized person does, there is no elephant to make out of it to press him to the wall. 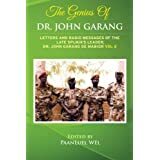 Between him and father (Dr. Garang) and as politicians and learned ones, they had cleared their differences then and forever. Radicalists within their camps in this regards shouldn’t make mountains again out of mound hills; they got to shut up, and allow our people this opportunity for healing. Machar has started it, others must follow. Mama Rebecca de Mabior was just on a thanks giving service/occasion, and from nowhere politicians from there (Bor) scratched the matter and the big man didn’t disappoint. It was an emotional moment for everybody, something a coward and evil minded people won’t do. He stated what we usually say here that the rebellion was exploited by others, and wasn’t the policy of the break away faction; that is unmistakable truth. He took the blame as a leader, and he did it very emphatically and sincerely. We must be proud of this talent at the top! Second, the elegiac will remind others who killed political prisoners in Ashwa or whatever near Pageri in Nimule County and Chukudum in 1993/1994 that what they did there to finish up politicians, officers and innocent people because of their political orientation or tribe was ingloriously a wrong. Whether the directives were given from ‘above’ or not, the loss of lives of our politicians, officers there remains unforgivable unless the authors of that wanton deaths of Southerners come out publicly and say ‘we are sorry’. Example is set by the Vice President how about them? Take it right, this line above doesn’t allude to insinuation of group or one person, rather it is an expression of pain about what was done stupidly that must be let go out of our chests. Shamely though the officers who were engaged in disappearance are still being promoted, and are move from one plumb job to another. People know them and history will not be kind to such individuals in our society. Time has come for us to show maturity to the damage we did to ourselves. Third, is that the said apology by the Vice President has put to rest (as far as Bor Community is concerned) a matter that has always divide our people; say Bor vs Nuer. The Big man (Machar) and by extension the larger Nuer community were targeted by Bor community for what had happened then in 1991. Yeah, brothers and sisters from Bor were on the receiving end of that rebellion and no right minded person could deny the destruction it has caused these people. But the by gone should be by gone, especially now that the big man has come out and say ‘he is sorry’. That is leadership, not because he personally ordered the macabre, no! Let no one again go over this matter again; it is close and is done. Congratulation to the big man for that job well done! Forth just to wrap up, the entire Southern public shouldn’t take such moves with guile, wily reception or for that matter for granted. What this great son of South Sudan (Dr. Machar) did to Bor people in Juba (not necessary in Bor Town) on Sunday should be emulated by other leaders whose political path trails blood of innocent people in our land. Gen. George Athor Deng and Gen. Gordon Koang Chol should now renounce violence and say to Southerners ‘we are sorry’. By doing so, they are healed and allow others to heal too (Proverbs 28:13 and James 5:16). God bless Dr. Riek Machar Teny Dhorgun! August 10, 2011 (JUBA) – South Sudan’s Vice President, Riek Machar, has apologised to the Dinka Bor community by acknowledging his responsibility for an incident in 1991 which resulted in the loss of hundreds of lives in the community, announced a deputy spokesperson of the South Sudan army, theSudan People’s Liberation Army (SPLA). The officer in charge of the SPLA information department, Malak Ayuen Ajok, revealed on the official South Sudan TV that Machar acknowledged his responsibility of the 1991 incidence in Bor following his defection on 28 August 1991 from late John Garang’s leadership. At a gathering organised by the Dinka Bor community in Juba, reportedly attended by Machar, the army officer told the TV viewers that a number of Dinka Bor community elders including Rebecca Nyandeng de Mabior, the widow of late John Garang, expressed their forgiveness to the Vice President. Malaak, who did not or quote Machar, explained that the apology was the beginning of a reconciliation process and commended the Vice President for accepting responsibility of the incident. The apology has received with mixed reactions by individuals among the Nuer community in Juba and abroad. Some told Sudan Tribune that the apology was premature and incorrect, calling it a tactic by the Dinka Bor community in order to use the apology against him in the future. Others welcomed Maxhar’s reconciliatory tone but said it should have been reciprocated with a similar apology by the most senior leader of the Dinka Bor community or Nyandeng, on behalf of the late John Garang for similar incidences that resulted to loss of hundreds of lives in the Jikany Nuer community. “I don’t believe Riek Machar apologised just like that to the Dinka Bor community. If it is true and aimed to reconcile with the Bor community, then that reconciliation should have been a two-way process. Who among the Dinka Bor’s top leaders apologized on behalf of late Garang for the killing of Jikany Nuer unarmed civilians in 1985?” asked Deng Gatluak. “Yes, I heard Malaak Ayuen revealing the apology on television. I think they have set him [Machar] up and recorded his confession if it was true so that they can use it against him as evidence of crime. I have been hearing ordinary Dinka boys and girls talking of wanting to take him to the ICC [International Criminal Court] or any other court over the 1991 incident. They may use his apology as an evidence to present to court or to blackmail him with it as a leader,” said another who asked for anonymity. He went on to question why the apology did not come directly from the source. Gordon Buay, the former Secretary General of the South Sudan Democratic Party said he was shocked by the apology. “I was completely shocked that a man like Riek Machar could apologise for 1991 Nasir Declaration which brought the right to self-determination to fore. It is very sad indeed that Riek Machar should reduce himself to the level of Peter Gatdet,” Buay said, referring to another Nuer rebel who recently rejoined the government. Lul Gatkuoth Nguth, a member of the South Sudan Diaspora in Canada, welcomed the apology, saying it is a politically astute move, to bring peace and harmony to the communities. “In my opinion, it is not shame that Riek Machar Teny apologized to Dinka Bor community. This is how the politics work. If you go through peace and conciliation process, this term ’apology’ has to apply if you are a real good politician who has a big mind,” he said. In 1991 the Vice President, Riek Machar, split from the SPLM/A under the leadership of late John Garang, calling for self-determination for the people of South Sudan to be the main objective of the movement. He and the current leader of the SPLM-DC, Lam Akol, also cited a lack of democratic principles and human rights abuses as factors that prompted their split. Machar however rejoined the SPLM/A in 2002 with his forces and has been the party’s deputy chairman as well as the Vice President of South Sudan for the last six years. Sudan Tribune: August 10, 2011 (JUBA) – South Sudan’s vice president, Riek Machar, has apologised to the Dinka Bor community by acknowledging his responsibility for an incident in 1991 which resulted in the loss of hundreds of lives in the community, announced a deputy spokesperson of the South Sudan army, the Sudan People’s Liberation Army (SPLA). Lul Gatkuoth Nguth, a member of the South Sudanese diaspora in Canada, welcomed the apology, saying it is a politically astute move, to bring peace and harmony to the communities. According to Brig. Gen. Malaak Ayuen on SSTV on Monday and Tuestday, Dr. Riek Machar apologised to SPLM leadership for 1991 Nasir Declaration and said he took full responsibility for the killing in Bor. I think there are people who watched what Malaak Ayuen said on SSTV on Monday and Tuestday. I was completely shocked that a man like Riek Machar could apologize for 1991 Nasir Declaration which brought the right to self-determination to fore. What kind of a politician is Riek Machar now? I believe those who originally think that Riek Machar is somebody worthy of consideration should now evaluate their positions. What he did has no difference with what Peter Gatdet did on August, 03, 2011. To me, August is a very shameful month for the Nuer in particular and South Sudanese who supported 1991 Nasir Declaration in general. It is very sad indeed that Riek Machar should reduce himself to the level of Peter Gatdet. From now on, we have to attribute 1991 Declaration to Dr. Lam Akol without mentioning the name of Riek Machar. We should even write in the books that the leader of 1991 was Dr. Lam Akol. Riek Machar’s name should be eliminated entirely from historical books. The President of the Republic of South Sudan H.E Gen. Salva Kiir Mayardit has announced that the list of the expected new government of the Republic of South Sudan will be endorsed by the National Legislative Assembly and urged the Assembly members to approve the list without considering it through tints of tribalism. President Kiir made the remark when addressing the joint meeting of the SPLM Caucus of the twohouses – National Legislative Assembly and the Council of the States – yesterday evening of Friday 5th August 2011 at the Main Hall of the National Legislative Assembly. The President called on the SPLM Caucus of the two houses, as a leading party, to be united and lay down a solid foundation to fight for one purpose of delivering services to the people of the new nation. President Kiir warned ministers having contracts with different developmental projects and programs to be careful and check themselves since accountability will soon be required to start from the top politicians of the government to the bottom. President Kiir strongly urged the SPLM caucuses to be loyal to the party, be disciplined and faithful in attending sittings of the Assembly. The President also appreciated the African countries for their tremendous efforts in facilitating theworldwide recognition of the Republic of South Sudan as a sovereign nation in the international community of nations. The Vice President of the Republic of South Sudan, Hon. Dr. Riek Machar Teny described the joint meeting as a historic moment for its was the first time for the Republic of South Sudan to have a National Assembly and Council of the States. Dr. Machar urged the SPLM Caucus of the two houses to work hard to meet the high expectation of the people of South Sudan by delivering basic services, peace, stability and good governance. Dr. Machar urged the Assembly to carry out its real oversight role but cautioned the members not to compromise and politicize its functions of accountability when dealing with legal issues. He further said the addition of the sixty six members to the National Assembly and the thirty members to the Council of States will add more value to the two houses since many of the members are experienced. The Speaker of National Legislative Assembly Rt. Hon. James Wani Igga welcomed the new SPLM members to the Assembly and said the SPLM caucuses are expected to respect human rights, supremacy of rule of law and combat corruption. The Speaker added that the unity of the South Sudanese must be reflected in the two houses. He urged the two houses not to quarrel over distribution of powers but be loyal to the party. He explained that 80 percent of the bills to be approved by the Assembly originate from the concerned institutions, then to the Ministry of Justice and from there to the Council of Ministers, and the final approval by the Assembly which represents 20 percent. He called on the government institutions not to delay preparing laws that govern their procedures and send them to the Assembly through the appropriate channels. He briefed the caucuses on functions of the Assembly in the coming critical period. The purpose of the joint meeting was to lay down strategies of how to start the journey of building the new nation of South Sudan. This day is yet another momentous occasion for our nation. The convening of this First Joint Sitting of our two houses: the Council of States and the National Assembly is a historical episode in our life time. These two houses constitute the National Legislature, which is the supreme authority in the land. The interests of the people are fully represented in this noble institution. Thus, allow me the opportunity to congratulate you and welcome you to the first sitting of this august house. Before I proceed ahead to share with you what I consider to be the pertinent issues of this epoch, please let us rise up and pay tribute to all those who perished in order for this nation to be born. 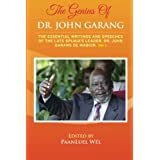 Foremost amongst these heroes and heroines is our great leader and hero, Dr. John Garang De Mabior, whose fond memories are still vivid in our minds (Minutes of silence). On July 9th, 2011, we ended a long period of misfortunes by the formal declaration of our independence. We have been occupied, colonized, marginalized and denied our dignity and humanity. This sitting clearly demonstrates the result of our long struggle and the beginning of a new journey for peace, democracy and prosperity. The independence we celebrated a few weeks ago is a great achievement for our people. I am grateful to have witnessed the birth of our nation and to you all comrades, congratulations for being pioneer citizens of this new nation! We are indeed a lucky lot because history has favoured us to be alive to witness this great moment of emancipation. Let us recreate ourselves, let us find new ways, new thinking and be ready to learn in order to adequately meet new challenges. We should not take anything for granted. Instead every challenge should be considered an opening for greater opportunities and triumphs. I urge all of you to seize the opportunities and accept the challenges of the future. The freedom we have just achieved endows us with power and mandate. In return we must manage what is given to us with utmost care and responsibility. Moreover, as a sovereign body representing the sovereign will of the people of the Republic of South Sudan (RSS), it is incumbent upon this august House to manage the affairs of this land in order to deliver on what we promised to our people. While debating matters of national interest, it is important that we put the well being of our people and nation first. Our people have waited patiently for so long. It is time we act and we do so without delay. Therefore, the two houses must complement each other rather than compete against one another. This is expected of you in the conduct of business and this is critical for nation-building. As a people who have navigated from far it may not be easy to forget the pains of the past. Our hearts are still heavy with the anguish of history. That notwithstanding we must be brave and wise enough to resist revisiting the past and we must embrace the future. We will not forget the past but the sacrifices of our martyrs will keep us consoled to be worthy of freedom and concentrate all our energies on nation-building. If we deviated away from the core objectives of our liberation struggle, the sacrifices made by many will be for nothing. We were able to achieve our objectives because of the sacrifices of our martyrs and the long suffering of our people. The rewards of our heroes and heroines lie in our future and in the realization of our vision. And it is also in this future and in the realization of this vision that we can fulfill the pledges we have made to our people. Our dreams and hopes can only be met through hard work so that they can become a reality. A democratic and stable South Sudanwill contribute to regional and international peace and prosperity. Remember, our independence also has its burdens and we must be ready to face them headlong. As I have pointed out in my past appeals, the worst experiences of the past and those of other nations must be considered in order for us as a new nation not to repeat them. We should not defend ourselves by using the failures of others as a threshold. Let us build our country by striving towards what others have achieved successfully. As we move forward, the most serious challenge and responsibility we face is what we can deliver for future generations? What would be the best way to honour our heroes and heroines? I said it during Martyrs Day and I will repeat it here that there is nothing material to offer worth the sacrifices of our martyrs. What is worth the ultimate sacrifice they made is for us to build this nation. Nation-building requires cohesion, hard work, honesty and altruism. While I will continue to urge you to work harder, I am already at work. My next government will do the best it can to enhance the welfare of its citizens. Building a nation is not an easy enterprise. It takes time and in most cases those who build hardly reap the fruits of their own labour. Thus, let us keep in mind that we are here to serve our people and not to enrich ourselves. It is our duty to ensure that future generations must not experience the sufferings we have endured. In other words, let us end the promises and deliver the basic services to our people. Misfortunes of the past should end with us and let us set a brighter future for our people. Together with the honourable members of this august Assembly, we must now focus on delivery of basic services to meet the great expectations of our people. This is only possible if we have a government whose first, second and final priorities are public interest, public interest, public interest! Let me make it clear once again that those individuals who are not willing and ready to make the sacrifices necessary to help our people will not be part of this government. Most important, the people of South Sudan will not sit ideally and allow corruption and abuses of public resources to continue unabated. You will agree with me that the people ofSouth Sudan have not only suffered for far too long but they have also waited for basic services for too long. They cannot wait much longer. It is time for delivery and it is also time to put the public interest as the number one priority. I take this opportunity to announce to this august Assembly that I will appoint the new Government of the Republic of South Sudan this week and according to constitutional requirement I am sending the list of the new cabinet to you for approval. The Ministers that are selected will have to work very hard and be disciplined. The new Government will work towards the ambitious goals set in our National Development Plan, and I will set them to task. Firstly, for South Sudan as a new nation to develop, we need education. No country has ever achieved development without educating its population. It remains a major challenge that only a minority of our children in South Sudan have access to education.When it comes to girl’s education, it is even worse. All children in our independent country must have the opportunity to go to school. To do this there is a need to scale up education enrolment quickly all over the country. Together with our development partners we can achieve this. We will also encourage our communities to help build schools. To demonstrate our seriousness, within the first 100 days of the new government 30 new primary schools and four new secondary schools will be under construction. Together with our development partners, we will also launch a Teachers Training Development Programaiming at training 7000 teachers in the next three to five years. We are also going to build higher education institutions in the coming years. We cannot afford to lose our next generation leaders because of the absence of higher education institutions. Secondly, the lack of good health care system in South Sudan has made our nation the most difficult place to live, especially for children and senior citizens. Many people still die because of preventable diseases. Let us be honest, you and I, and indeed our family members can afford to go out of the country to get treatment. But this is not the case for the millions of our people. And it is not because of war, rather because of the absence of health services. It is time to change that by providing basic health services for all our people in the villages, Bomas, Payams and Counties. Through community health programmes we can distribute anti-malarial bed nets to more people and save the lives of our children and their mothers. And we will start now. Similarly, within the first 100 days of the government and together with development partners, we will make sure that 600,000 children are vaccinated against deadly diseases, including measles,particularly in the four states of Unity, Northern Bahr El Ghazal, Warrap and Upper Nile. And the good news is that 30 community midwives will finalize their training and be ready to be deployed to the rural areas. I also intend, with the support of this august House, to construct 100 small health care centers within the first year of this Administration. Thirdly, South Sudan cannot develop without infrastructure. Our country is vast, and our communications are limited. Only through the use of roads and rivers can communities connect, agricultural production takes off, businesses flourish, the economy grows, and services are delivered. Infrastructure is at the heart of our development plan. Together with our development partners, we will invest in roads and bridges, and in river transport. But also here, we need our people to give a hand. They can help rehabilitate and construct feeder-roads. With the focus of this august Assembly, together, we can make it happen. Within the first 100 days of the new government two roads and two airstrips will be opened in Unity and Warrap states. The repairs of Juba Bridge and the construction of a new bridge on theNile donated by the Government of Japan will get underway. The rehabilitation of four roads will be in process, three in EasternEquatoria State, Warrap and the Pagak-Mathiang road in Upper Nile. Fourthly, no country can develop without abiding with basic principles of justice and rule of law. South Sudanese have been at the receiving end of aggression, injustices, arbitrary detention and absence of law and order during decades of war. Now similar incidences have occurred among our own police and security institutions. As I said on Martyrs’ Day, this has to end. Criminality should cease or else those who perpetrate suffering to others will be subjected to the strong arm of the law. It is time to put our own house in order. We need to strengthen law and order, both within our own institutions and among citizens. Within the first 100 days of our new government, 50 new police stations located throughout the country, will be opened. Two prisons will also be completed. Again together with our development partners the Government will do more. Fifthly, no country can ensure peace and security and protect its citizens without a modern and professional Army. As a new and independent country, we will complete the transformation of the SPLA into a national army. For this to happen successfully, the Government must put in place programs that would provide new opportunities for former SPLA soldiers. Within the first 100 days, we will launch our new programme for Disarmament, Demobilization and Reintegration (DDR). We will provide tailored programmes to give them a new start. These are just but few caveats for the beginning. We have got more daunting tasks in front of us – development, development and development! And development does not only come with the donors or with oil money. As I said earlier it requires hard work and discipline. For example, the Republic of South Sudan should never depend on imports of food or handouts. We are endowed with fertile land. I said it and I will repeat it now; we must till the land to produce food. This is a moral responsibility for citizens – work, work, work and work! I want to reiterate again, a prosperous nation is not made up of indolent citizens, because laziness is useless. As pioneer members of this joint august Parliament, I call upon you all to help mobilize our communities to service in order to help develop our nation. We can only achieve our ambitious development goals if all of us dedicate ourselves to develop our country and pull together with unity of purpose. On Independence Day I made it clear that from now onward we do not have any excuses or scapegoats. It is our responsibility to protect our land, our resources and ourselves and to develop our country. Moreover, the goat is dead therefore there is no one to blame! For South Sudan to succeed, we need to abide with the principles of transparency and accountability. Only then can we build a strong foundation for our new nation. Another word for corruption is stealing and it is called ‘stealing’ because money which should have gone to build our country is stolen by selfish persons. Those who engage in corruption are undermining our country and the sovereignty of the Republic of South Sudan. To borrow from our liberation laws, join me in defining corrupt persons as the enemies of the people. We must therefore fight corruption with dedication, rigour and commitment. And that is why, on Independence Day, I pledged to the people, the nation and the heads of state and government present that I would do all that I could to remove this cancer. Most important, let me put a human face on what corruption does to our people and country. With the amount of funds stolen over the past six years and half; we could have saved thousands of our citizens from unnecessary deaths and suffering, building more than a dozen of schools and hospitals, and feed many of our citizens. One, in the first 100 days I will make sure that the new Government of the Republic of South Sudan passes 5 essential laws to establish full transparency and accountability in the management of our financial resources, natural resources and oil. Thus, we will send to Parliament a Public Financial Management and Accountability Act, a Procurement Act, an Internal Audit Act, a Petroleum Act for regulating the management of oil resources, and an Oil Revenue Management Law for sustainable and transparent management of the oil income. Several of these laws are already prepared, and all of them will hold international standards. This is an essential part of putting our new Republic on a solid foundation cemented by the blood of our martyrs. I call upon you, the National Legislature of the newRepublic of South Sudan, to process and pass these laws without delay. We need them to take effect as soon as possible. Two, implementation of these Acts is essential. Within the first 100 days, the Republic of South Sudan will develop an implementation plan to put these policies into practice. This includes rules of procedures for our public service and large-scale training of staff. Here, we will have to ask for external assistance and support. We need to be ready to implement expeditiously as soon as Parliament passes these laws. In the first 100 days, the Audit Chamber and the Anti Corruption Commission will also be strengthened. We will have audits underway in three of the most significant spending government ministries and agencies. We will take action on their findings and as I have pointed out before there will be no loopholes for people who are addicted to mishandling public resources. There will be no sacred cows this time round. Moreover the Anti-Corruption Commission has already been granted the right to independent investigations but the institution itself also requires restructuring. I will urge the Commission to make use of this right within the first 100 days. The Commission and its members will have my full support as President of the Republic. Three, implementation always starts at home with us as political leaders. In all South Sudanese communities stealing is seen as deeply shameful! We all know what happens in our cultures and communities, particularly, if one is caught stealing? The community will start composing songs against you, and the whole family will be disgraced. Your children will have difficulties getting married respectably, and you cannot even become a chief or be in any position of authority. I always wonder what has happened to these core values of our communities. It seems that people have forgotten them. This has to change and with determination it will change. We must set new standards to be eligible for public office. When the government is appointed I will make these standards clear to the public, and I will expect every Minister and civil servant to abide by these standards. The Republic of South Sudan will expect nothing less from those who serve our newly independent country. With these actions, I hope we will have taken the first critical steps to put our new country on a solid footing. Remember no government performs well without checks and balances. The primary role of Parliament is, therefore, essential in this process. I request you, our Parliamentarians and our international partners, to assist us and to hold us responsible in the implementation process of these pledges. I will report back to you on all these deliverables when our first 100 days have passed. I promise you that this time, we will deliver. I shall be remiss if I do not say something about the Comprehensive Peace Agreement (CPA), particularly about the issues that are still outstanding. I would like to reassure all that Abyei is not a forgotten cause because we will remain actively seized of the matter until a final resolution is found. We are all aware that the United Nations Security Council has authorized the deployment of the UN Interim Security Force for Abyei (UNISFA) in order to ensure resettlement of the people of Abyei back in their homes. I trust that a final solution will be found that will reflect the true will of the people of Abyei. I am equally committed to ensuring peace and security along our common borders and the spirit of good neighbourliness is one of the guiding principles of our foreign policy. The massive attendance of the world during our independence celebrations is testimony that we are a friendly people. We will continue to engage with all our neighbours, particularly with the leadership in the Republic of the Sudan to build strong relations because we share a long border. Finally, I would like to repeat what I said during the declaration of independence. Let us continue to celebrate our hard won freedom but we must always be sober to wake up the following day and work. I reiterate my appeal to this august House that this new nation is yours and let us commit ourselves to build it with optimism. Hard work is a virtue and in just a matter of time, we will prosper. There is nothing impossible and as it is said: ‘If there is a will there is a way’. The role of government is to provide a conducive atmosphere while citizens must join hands and work. We will issue comprehensive priorities for the next five to ten years as soon as the new cabinet is constituted. Let me say this again we cannot prosper as a nation without the unity and harmony of our people. We must accept our diversity and use our difficult past experiences to grow. We must work harder and harder so that in five years change must be apparent. Government will ensure that there is no hindrance or obstacle and people should go about doing their businesses in safety and without any kind of fear. As for you the honourable members of this joint august House, legislation is your first order of business and I wish you all well in this national duty. I am always available and my office is there to attend to urgent national needs and emergencies. Let us start to work right away. Thank you all and may God bless South Sudan! August 4, 2011 (JUBA) – The newly appointed UN special envoy to the Republic of South Sudan, Hilde Johnson, briefed the political parties on the roles her multi-purpose mission will play in the new nation at a meeting in Juba on Thursday. Johnson was appointed as special envoy to South Sudan by UN secretary general, Ban Ki Moon, following the independence of the region on 9 July. She previously held the post of Minister for International Development in Norway. She was involved in the North-South Sudan peace negotiations in Kenya in 2005. On Thursday in Juba she held her first joint meeting with leaders of the various political parties in South Sudan, with the participation of the ruling Sudan People’s Liberation Movement (SPLM), during which she briefed them about her new mandate. In the meeting which was moderated by Vice President and SPLM deputy chairperson, Riek Machar, Johnson said her role will include rendering support on issues to do with security, development, institutional building, democratic development and transformation of the “political equation” in South Sudan. She said these will include issues to do with the rule of law, justice, diversity and inclusiveness in nation-building as well as constitutional process and the upcoming elections after the four year transitional period. The special envoy said she will also mobilise donors to support South Sudan and supervise the activities of the various UN humanitarian agencies working on the ground. Johnson who said she was inspired by the frankness in the expression of views by the leaders at the meeting, adding that open disagreement expressed in peaceful political debate was healthy. At the meeting leaders of opposition political parties criticised the ruling party, the SPLM, for allegedly reneging on the resolutions passed in a conference held in October 2010. They said the conference called for consensus and inclusiveness in the process of the nation-building. They said that the recent appointments of 66 new members to the transformed national assembly and 30 to the council of states, did not redress the inclusiveness issues as was agreed upon at the conference. SPLM officials at the meeting denied the claim, saying a number of other political parties consulted with the president and their members were included in the national legislative body. Vice President Machar congratulated the special envoy for her “tough” mandate at the introductory meeting with the political parties. He said President Kiir was in consultation with the political parties, and have their members appointed to the two houses of parliament. He called for cooperation between the political parties, the government and the UN mission in the implementation of the roles spelled out in the mandate given to the special envoy. The United States has been deeply engaged in Sudan, having led international efforts to broker the 2005 Comprehensive Peace Agreement that ended decades of civil war between the country’s north and south and as the lead international donor both during and after the war. Last summer, with President Obama’s leadership and personal engagement, the United States launched an intense international diplomatic and development effort to keep the parties on the path of peace. In September 2010, at a special meeting of presidents and foreign ministers during the UN General Assembly in New York, the President rallied the international community to join the United States in its call for a peaceful, on-time referendum for Southern Sudan. Sudan was a key focus of Vice President Biden’s trip to Kenya, Egypt, and South Africa last June that helped to build regional cooperation on CPA implementation. The Vice President’s regular engagement with Sudanese leaders and regional leaders, including with African Union High-Level Implementation Panel Chairman Thabo Mbeki, has been a critical part of U.S. diplomatic efforts on Sudan. Secretary Clinton met personally with the parties from both sides in Addis Ababa in late June 2011, where she brokered a deal to end violence in the Abyei region and facilitate the deployment of Ethiopian forces to amplify the peacekeeping presence in the region. She has been in close contact with her counterparts throughout the region, and has reached out frequently to senior northern and southern Sudanese officials by phone. Ambassador Susan Rice led efforts to build and maintain multilateral support at the United Nations for peace in Sudan, leading the UN Security Council to Sudan twice in the last nine months. The Troika—a partnership among the United States, United Kingdom, and Norway—has played a critical role in diplomatic and development planning with its Sudanese and international partners. Special Envoy Princeton Lyman, his predecessor, Scott Gration, and numerous other U.S. Government officials have shuttled tirelessly between Washington and Sudan, where they have pressed the Sudanese leaders to reach agreement on the issues that will define their future relationship. In South Sudan, the U.S. Agency for International Development (USAID) is helping to strengthen democratic participatory governance, to enhance access to health care, education and clean water, and to improve basic infrastructure such as roads, bridges, and electricity. U.S. efforts spearheaded by USAID continue to boost agricultural productivity and trade, and help local governments improve their ability to manage resources and meet citizens’ needs. Since the signing of the CPA, USAID has worked closely with the Government of Southern Sudan to provide one million people with access to clean water, to help increase children’s enrollment in schools nearly fourfold, and to establish tools like microfinance institutions to help jumpstart economic opportunities. The United States played a critical role in ensuring that the Southern Sudan Referendum Commission had the capacity to hold a credible, on-time referendum in January 2011. USAID supported the procurement of registration and voting materials, voter education, and domestic and international observation to ensure that the Southern Sudan Referendum Commission and Bureau had the capacity to hold a credible, on-time referendum. Following its declaration of independence, the United States will establish full diplomatic relations with the Republic of South Sudan, upgrading the U.S. Consulate General in Juba to a U.S. Embassy on July 9. Ambassador Barrie Walkley, the U.S. Consul General in Juba, will serve as Chargé d’Affaires pending the appointment of a U.S. Ambassador to Juba. This fall, the United States will host an international engagement conference that will provide the Republic of South Sudan with a platform to present its vision for the future of its country and engage partners on priority areas of support and collaboration. The United States stands with the people of both Sudan and South Sudan during this time of great hope and immense challenge. Our commitment extends beyond July 9, and we will continue to expand on our deeply-rooted partnership in the years ahead.